Decisions twenty years ago during the fIrst generation of modern traffIc safety policymaking were easier than today. Afterall, the mandate for specifIc mandatory motor vehicle safety standards was dermed rather clearly during legislative hearings. Since the initial standards, decisions have been based on the more general guidelines of "practicality" and avoiding "unreasonable risks. " Now, with more diffIcult decisions pending, the demand for analysis is greater. 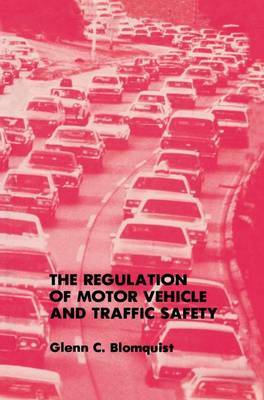 My purpose in writing this book is to promote second generation policymaking in traffic safety. The dominant theme is that an "individual net benefIt approach" is useful in the design, evaluation and improvement of traffic safety policy. Hopefully, this book provides some guidance for today's tougher decisions. Evaluative review of modern traffic safety policy, especially automobile safety standards, yields several results. The technological approach, the basis for the 1966 legislation, is shown to produce mistakes. Benefits are overestimated and endangerment of nonoccupants is ignored. The risk homeostatic approach, the devil's idea to some in the safety community, is shown to be a limiting case of the more general individual net benefIt approach. Rationality and competency in travelers' safety decisions are reviewed in a broad context. Evidence beyond the realm of behavioral ix x The Regulation of Motor Vehicle and Traffic Safety psychology indicates considerable, albeit imperfect, competency in traffic safety decisions. Conventional benefit-cost analysis is critiqued. Existing studies of passive restraints are shown to overestimate net benefits because travelers' responses and costs are ignored.